**Note: While we tend to use the shortened “latte” to order a caffellatte at our coffee shops back home, you need to use the full “caffellatte” in Italy–otherwise you’ll get stuck with a glass of cold milk! 1) Sitting down: If there are tables inside/outside the cafe, you can sit down and someone will usually be by to take your order. Be aware that the “privilege” of sitting in Italy will generally add a couple of Euros to your final bill. However, if you’ve been on your feet for most of the morning, sometimes it’s quite lovely to be able to sit and relax! 2) Standing up: Do as the Italians do and have your coffee/pastry right at the bar. Here in Italy, grabbing a morning or afternoon coffee is a quick, yet social experience. I personally prefer to stand at the bar, as watching the barista making 10-15 different orders in the span of 5 minutes is basically like watching an Olympic sport. 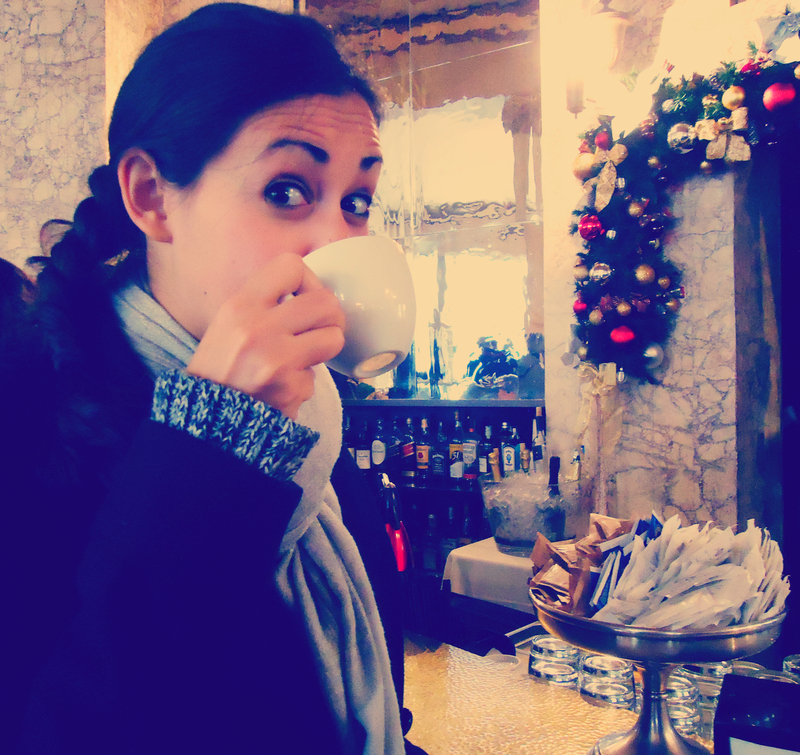 So Italians have a few rules when it comes when you can actually consume said caffè. 1) Always pay first. When you arrive at the bar, head to the cassa (cash register) first! You need to pay for your items before you order them. Once you have your receipt in hand, you can then go over to the bar and they’ll take your order–but usually only if you’re armed with your receipt. 2) Cappuccini are only to be consumed for breakfast! Most Italians believe that hot milk in the afternoon is bad for your digestion. I personally never follow this rule, but if it’s important for you to do as the Romans do, stay away from the cappuccini after noon. 3)To-go is still somewhat of a no-no. While taking your vanilla-latte-mocha-soy-iced-frappuccino to-go is standard practice back home, most of the time Italians prefer to drink their coffee right at the bar. Yes, you can ask to portare via (take away), but just know that espresso is a drink best served piping hot in one of those teensy tazze. *Edit: In 2018, Starbucks opened its first store in Milan. The verdict is still out as to whether or not Starbucks will have a permanent home in Italy! < I Scream, You Scream, We All Scream for…Gelato! Reblogged this on The Grand Em.